Representatives from Apple will offer a series of presentations to Boise State instructors and our campus community in the Student Union Building, Tuesday and Wednesday, April 16-17. All faculty, staff, and students are invited to join the Office of Information Technology and the IDEA Shop for “Helping ALL Students Succeed: How Apple Products Support Accessibility and Universal Design for Learning,” a special digital accessibility event featuring an exploration of Apple technologies designed to support accessibility and universal design for learning. Apple begins with the idea that everyone learns differently, then designs products that support differences in learning. Every iPad, iPhone, and Mac has built-in communication features that support learning. FaceTime allows us to communicate visually, whether through sign language, gestures, or facial expressions. Speak Selection helps with language development by speaking words as a student is reading. And Text to Speech can make learning easier by letting people hear what they’re reading and writing. Who benefits from such features? Obviously, individuals with different abilities. But staff, faculty, and students of all abilities can become better learners by taking advantage of these features–if they know about them. In each of the scheduled sessions you will have the opportunity learn more about Apple’s approach to design and the many features incorporated into Apple products to help all students succeed. You’ll have an opportunity to participate in hands-on exploration of these features, ask questions, and gather valuable information that you can share with your students and colleagues. Representatives from Apple will be accompanied by instructional design consultants from the IDEA Shop and staff from the Office of Information Technology to support participants in learning. This event is open to all levels of learners, and no previous experience with Apple technologies is necessary to participate. View the presentation schedule and registration information below. In this session, faculty will have the opportunity to enhance their awareness and understanding of potential learning barriers while improving their skill to communicate and teach more effectively across difference. In addition to receiving new resources and support, participants will have hands-on time to explore new accessibility features on mobile devices. Faculty will also have the opportunity to complete a provided comparison matrix which helps them better visualize how to pair digital accessibility features with learning strategies. This faculty-centered session will be offered during two different time slots with identical content. This general session will provide participants with the opportunity to explore digital accessibility features across a variety of devices including mobile devices and laptop computers. The first hour of this session will focus on iOS or mobile devices (iPhone, iPad) while the second hour will focus on OS such as MAC laptops (MacBook) or desktop computers (iMac). During the session, all participants will have the opportunity to enhance their awareness of learning barriers and difference, while discovering new ways to leverage accessibility features to advance learning. Participants will also have hands-on time to explore new accessibility technologies on an assortment of devices. Whether you’re new to digital accessibility features, have lingering questions, or if you would just like some more hands-on time, this open-house hour is for you. Instructional design consultants and expert representatives from Apple will be available to field your questions and assist with implementation ideas. Both iOS and macOS devices will be available for participants to explore the features which support accessibility and universal design for learning. 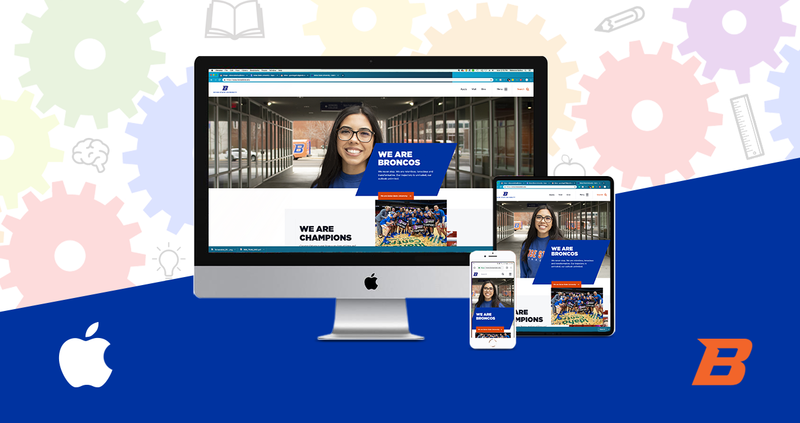 For questions or additional information about the Apple Higher Education visit, contact oitcommunications@boisestate.edu.